Love this 1/3 acre+ park-like cul de sac lot lushly landscaped & newly fenced for privacy w/2368 SQ FT upgraded family home w/great flow! Formal LR & DR w/crown molding newly carpeted perfect for entertaining flow into island KIT w/granite countertops 2015 & new SS APPLS 2018! Eat-in KIT opens to party-size deck w/gas line for BBQ for outdoor living & spacious FR w/full masonry FP both w/new LED recessed lighting 2018. Newly carpeted BRS INCL vaulted MBR w/WIC & private bath upgraded w/new CT FLR & granite counter 2016-same with hall bath. Full BAS INCL PAR FIN REC RM, LDY area & plenty of storage along w/new 90% efficient HVAC 2010, new HWH 2016, sump pump 2016 & water filtration system. 40 YR roof installed 2001, new siding 2007 & new LR & DR windows 2010 will protect your investment for years to come! Perfectly neutral & immaculately clean for your move in pleasure! Great location in award-winning Adler school district: EZ access to I-94 near Metra & downtown shops & eateries! Milwaukee Ave to Adler, To Cedar Glen. I was searching on Blue Fence and found this listing. 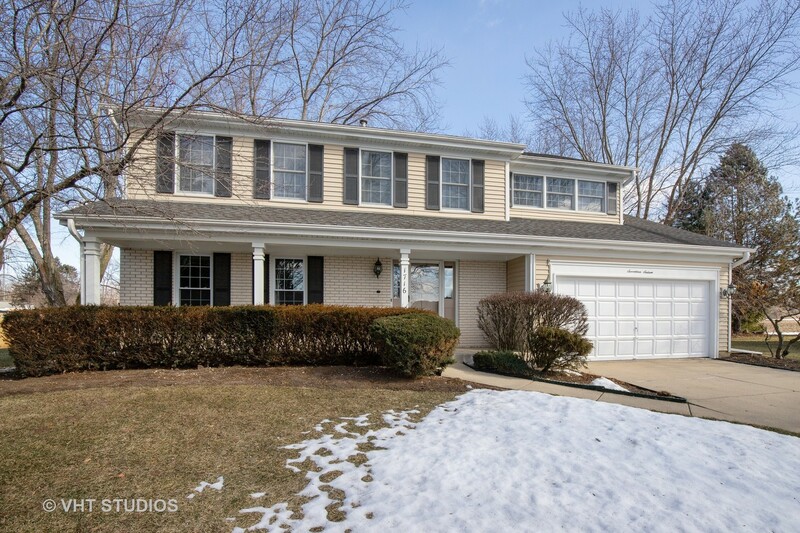 Please send me more information about 1716 Cedar Glen Court , Libertyville, Illinois 60048. Thank you.